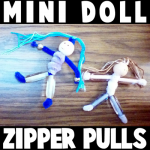 Learn how to make zipper pulls that look like miniature doll figures. Be creative and make them in all shapes, sizes, and colors. These zipper pulls are perfect for decorating your backpack as you go back to school. Today we will show you how to make a really cool item that you have never made before. 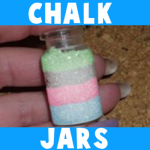 This project is to make a jar filled with beautiful pastel chalk…it looks like sand art, but instead with chalk. Look at this tutorial to find out how to make these awesome jars…great for a Valentines Day gift or for a Cool Summer Project. 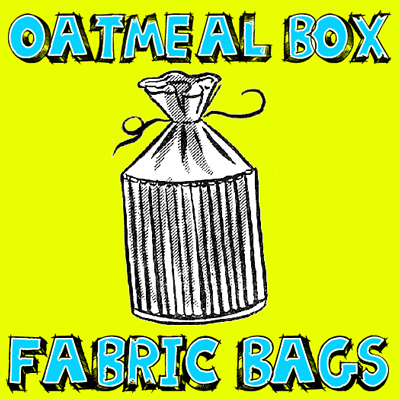 Here is a craft for making a great drawstring bag out of a cylinder oatmeal container, fabric, some cardboard, and a few other items. This bag turns out looking beautiful and would make a great bag for yourself or as a gift to mom, grandma, or someone else you love. Is your dad the best in the world? Here’s a father’s day gift that will help him remember that. 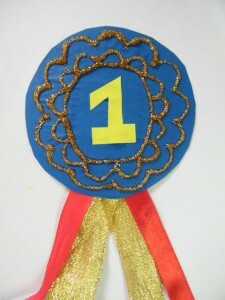 The simple instructions to make this Number 1 Dad badge are given on the following tutorial. 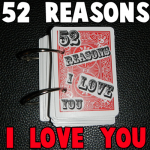 I am sure that you can think of way more than 52 reasons that you love someone. However, it will only take those 52 reasons to make your loved-one break down into tears of happiness. Take the time to tell your Mom / Dad / Sister / Brother / Grandparents etc how much you love them with this special project. 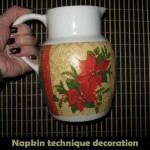 Today I’m going to show you how to transform an ordinary jug into a wonderful Christmas decoration. You can use a jug that you can pick up at any discount store and change it into a spectacular Christmas decoration or give it out as a Christmas gift this Holiday. Using this special napkin technique changes an ordinary jug into something so much more. Plus, the craft itself is so much fun. So, grab the kids and the materials needed and let’s get started. How you present your gifts this holiday season is so important. The right gift wrap, the right ribbons and of course the right gift tags. But, instead of buying store bought gift tags why not do something more original. In this post I will show you how to make a simple gift tag for your gifts. 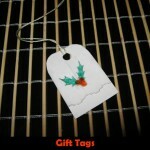 Whether you celebrate Christmas or Hanukkah you can make this gift tag craft work for you. Simply alter the design on your gift tags to fit your needs. So, let’s get started. Now is the time to start to get your Holiday greeting cards ready to be given out. 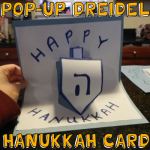 Well, today I’m going to show you how to make a Pop-Up Hanukkah Dreidel Greeting Card. Anyone who receives this Hanukkah greeting card will love the 3D look of this card. 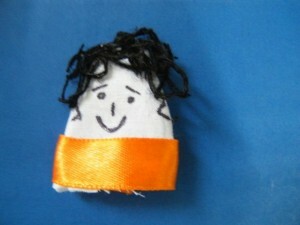 With some simple paper, scissors and some markers for decorating you too can make this Hanukkah Dreidel Greeting Card. Your kids will love making this pop-up card. Plus, they will be preparing a special card for someone they love…. they will truly get a kick out of that. I have a treat for you crafters today….. I’m going to show you how to make a Spider Pendant for Halloween. Made from jewelry wire and beads this Spider Pendant turns out beautifully. Make it for yourself or as a gift for someone special…. they will surely love it. 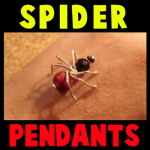 What is awesome about this Spider Pendant is that you can wear it all year long…. not just for Halloween. It turns out that amazing….. you don’t want to just save it for Halloween. So, grab the materials needed and let’s get started. I have a fun craft for the girls today. I’m going to show you how to make a butterfly headband. 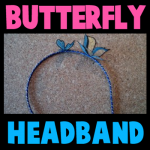 This headband is perfect for any girl to wear who loves butterflies. This headband can actually be worn in the hair and the butterflies stand up from the headband, so you will be able to see the butterflies no matter how thick your hair is. This craft is not only useful, but it is also fun. So, grab the materials needed and let’s get started. Oh boy…. do I have a fun craft for you today!! 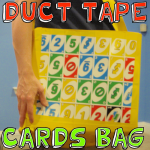 I’m going to show you how to make a Duct Tape Playing Cards Shoulder Bag. The front and back side of this durable bag is covered with playing cards to give it a playful style. I used Uno Cards for this craft, but feel free to use any style playing cards you wish. Whatever style you choose will look great. So, grab a deck of cards, duct tape and scissors and you are good to go. Let’s get started. 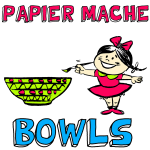 Today I’m going to show you how to make Papier Mache Bowls. Using a wooden, glass or ceramic bowl for your armature for this project as well as newspaper strips and the papier mache paste we will make together you will be able to make a beautiful bowl that you can actually hold stuff in. Once dry you will paint the bowl in the beautiful colors of your choice…. it is an all around fun project. So, grab the materials needed and let’s get started. Mother’s Day is right around the corner. Have you thought about a gift for your mother yet? Well, if not I got a great Mother’s Day craft for you. 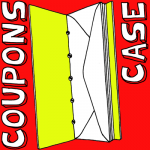 I’m going to show you how to make a Coupon Organizer Case. There is not many things more frustrating that going shopping with a pile of coupons and no way of organizing them…. well, your mom won’t have that problem anymore. With the number of envelopes you are going to be adding to this craft she will have more than enough places to organize her coupons. So, let’s get started. I have a fun craft for you that will totally get you in the Spring mood. I’m going to show you how to make a Cone May Basket. May is all about the Spring flowers. Well, imagine how beautiful a basket will be filled with some of those magnificent flowers. 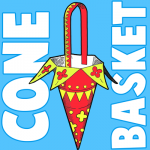 Or, perhaps you want to give this Cone May Basket to someone special…. well, why not fill it with candy. The receiver will surely love it!! Either way this Cone May Basket will surely be enjoyed. So, grab the materials needed and let’s get started.